The Peterborough Regional Farmers Network (PRFN) has launched a new Saturday, downtown Farmers’ Market starting on June 9. At this time, we have no official logo, tagline or brand guidelines for the new Market. PRFN has some basic branding in place. The new market is called the Peterborough Regional Farmers’ Market. The Peterborough DBIA and AON are partners to support the venture as well. The mission statement and goals of the new market are located in Appendix one. Please go to www.ptboregionalfarmersmarket.org and the associated social media sites to get a sense of the market. PRFN has an additional supply of our own photos and professionally edited video filmed on several local farms and these farmers will be vendors at the new market. PRFN is launching a Kickstarter campaign with the tag line “Local Dirt/Local Worth.” Please refer to the one-time use branding which is a black eps logo in Appendix two. 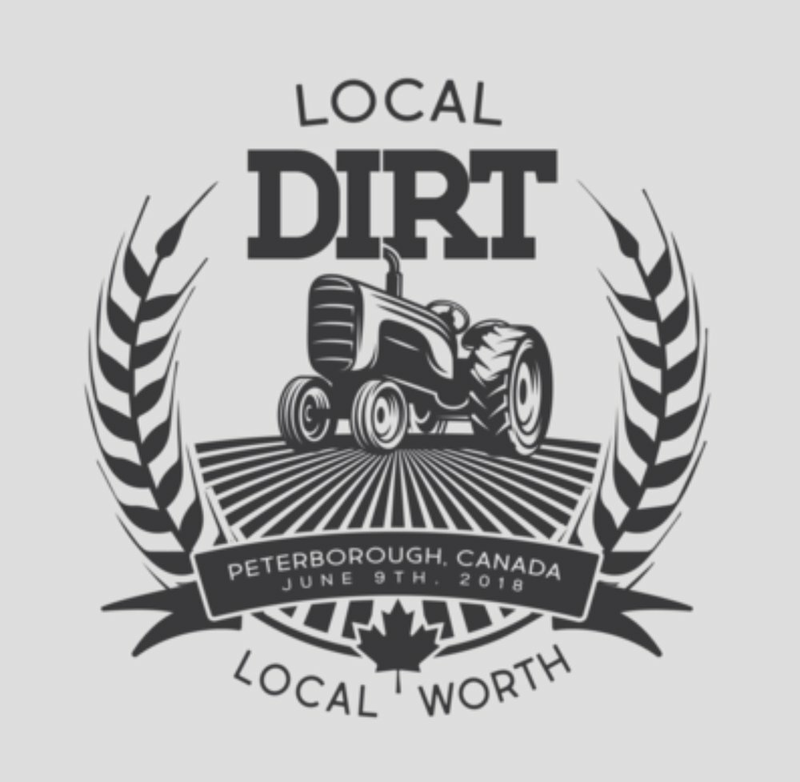 This is not our permanent logo or tag line and Local Dirt/Local Worth is a Canada wide marketing program starting with the new Peterborough Regional Farmers’ Market. At this time, PRFN requires the services of a marketing firm, or individual, to create a logo, tagline and basic brand guidelines. Logo – we need a full colour, two colour and black and white version of the logo with print colours specified (pantone, PMS, etc.) and applicable in all graphic design platforms. Tagline – we need a tagline to support the operations of a downtown Farmers’ Market. Key words used by PRFN to describe the new Farmers’ Market includes 3rd party verified farmers growing local food/The Farmers’ Market is a community asset/Downtown. Our websites list our public statements about these topics. Brand guidelines – we need a one-page identity at a glance document that includes an overview, logo formats by medium (print, embroidery, silkscreen, word, PowerPoint, digital, etc. ), master brand logo and logo with and with-out tagline, single page logo usage example, typography, imagery usage, and supporting colours. We will attach an example of what we are looking for in Appendix three. PRFN will provide any additional background information required via telephone, email or in person. The request for Proposal represents the requirements for an open and competitive process. Proposals will be accepted until 5 PM EST June 1st, 2018. All proposals received after this date and time will not be considered. Evaluation of proposals will be conducted from June 2nd to June 3rd. If additional information is required from the bidder we will contact you immediately. The final selection will be on June 4th, 2018 and bidders will be notified that day. This is a rushed project due to the imminent start of the new Farmers’ Market on June 9 and the logo and tagline need to be created by June 8, 2018, and the one-page guidelines can be completed on June 15, 2018. All proposals should include proposed costs to complete the tasks described in the project scope. Organizational scope – bidders will be evaluated on their experience as it pertains to the scope of this work.